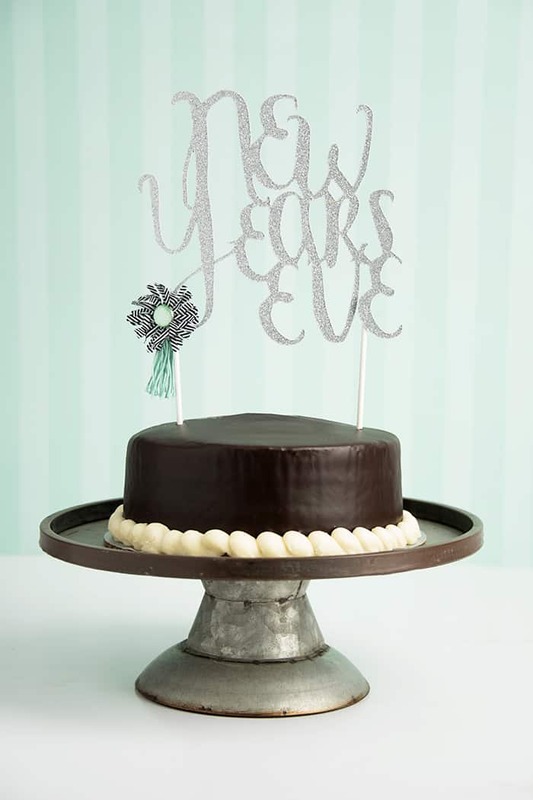 Jazz up your New Years Eve with an easy-to-cut cake topper. 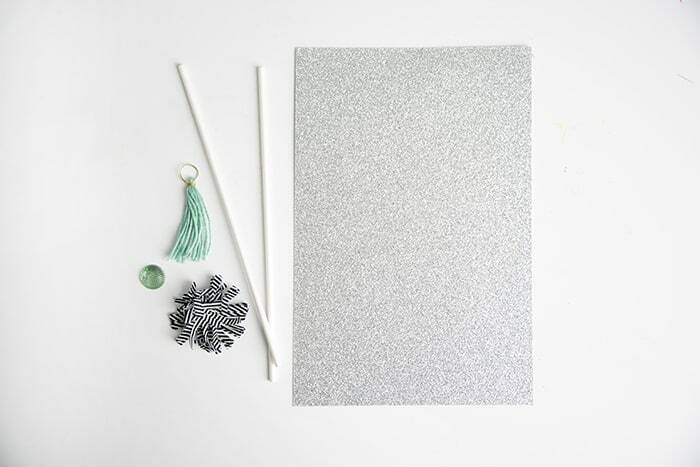 Pair it with some glitzy glitter paper, and you have serious “wow-factor” for your celebration! 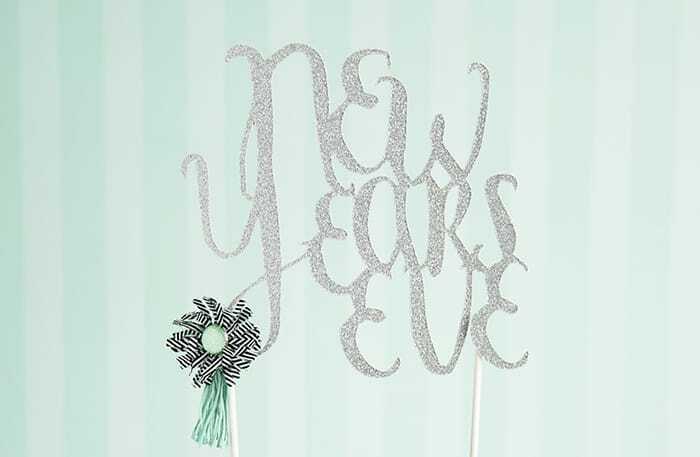 I thought it would be fun to share with you, a really fun way to jazz up your New Years Eve with an easy-to-cut cake topper. 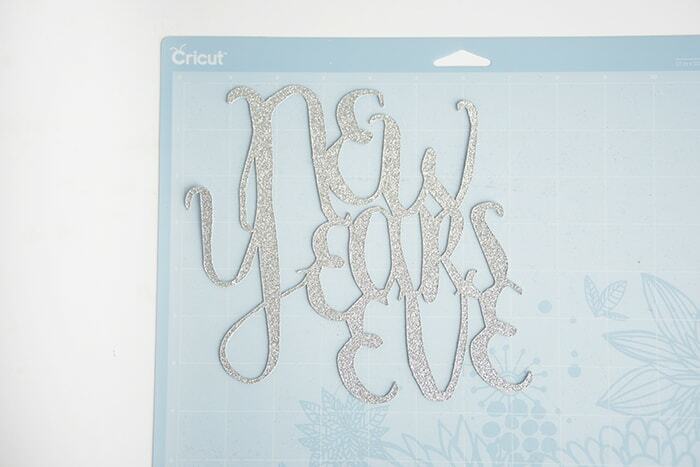 Pair it with some glitzy glitter paper, and you have some serious wow-factor for your New Year’s Eve soiree. I am including a digital cut file for you to use. 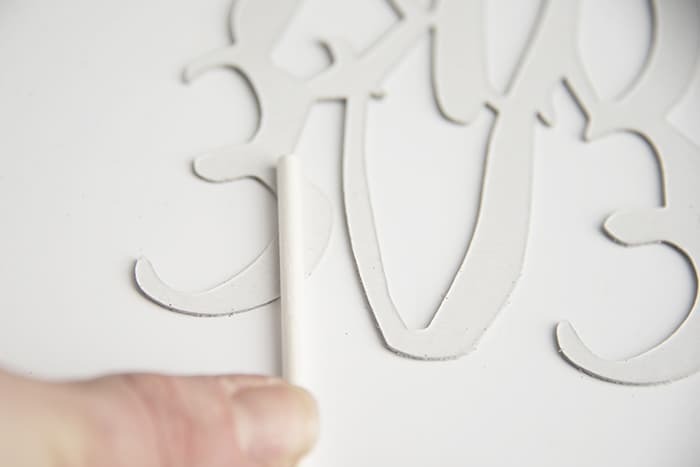 If you have an electronic die-cut machine, you can download the SVG file HERE. If you would prefer to cut it out by hand with an X-Acto knife, just grab the image HERE instead. If you decide to cut it by hand it’s obviously going to take a little longer, but I promise it’s not bad. I would suggest using a heavy cardstock whichever way you go. To make your cake topper like mine, you need to gather a few supplies first. I used two white sucker sticks, a few embellishments, a hot glue gun, heavy glitter, cardstock, and my Cricut machine to cut the file. If you are cutting the SVG file like I did, just upload the SVG to your electronic die-cut machine following the instructions they provide. 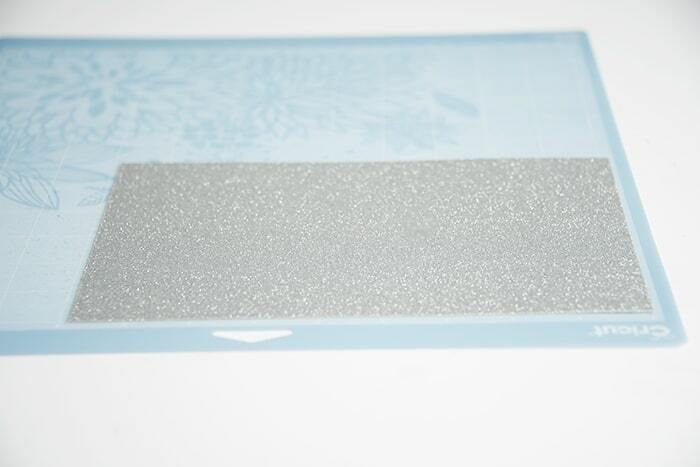 Be sure to adjust your settings to accommodate a heavy weight glitter paper. After you have cut your image, flip it over and glue the two suckers stick to each side. Be sure to leave enough space to insert the stick into your cake. Last step! 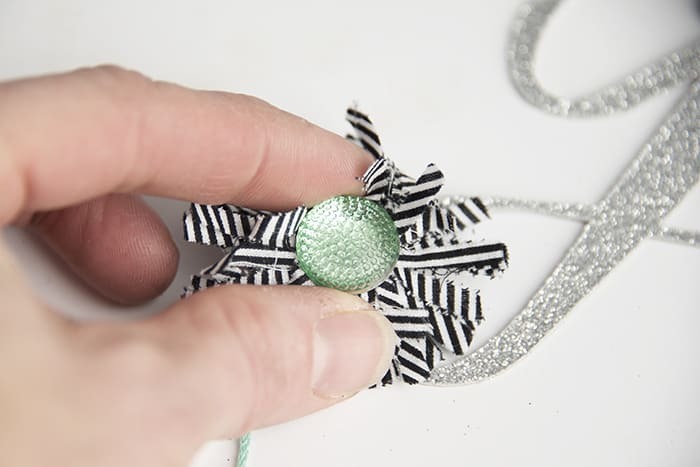 Embellish your cake topper with flowers, ephemera, embellishments… whatever you have on hand! 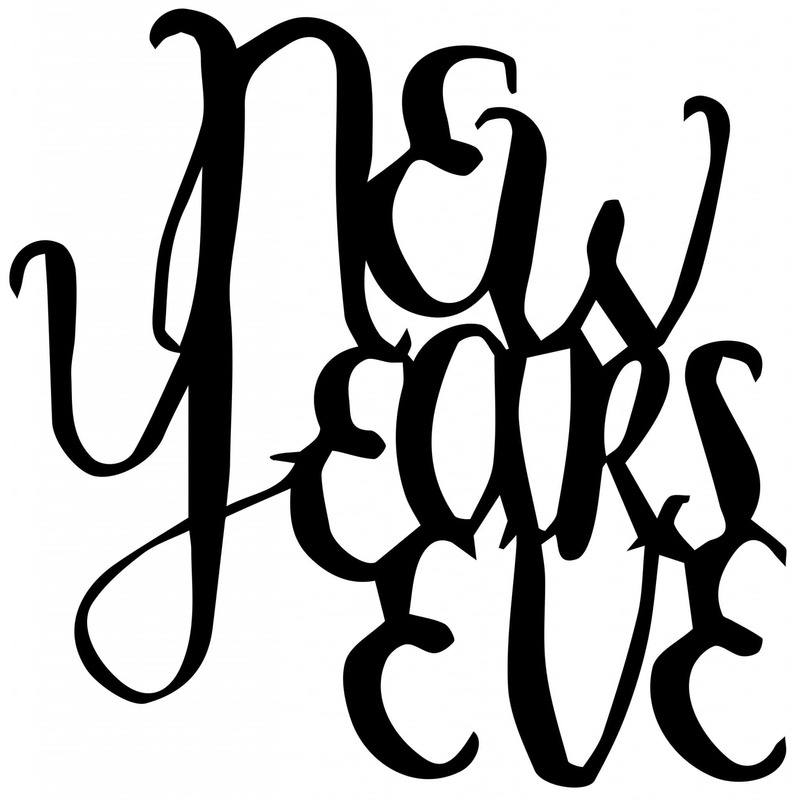 Happiest of holidays everyone, and a very happy New Year to all! 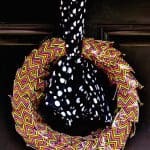 Don’t forget to visit me on Facebook, Pinterest, Twitter, and Instagram too. That cake topper is so pretty! I’m obsessed! I love the cake topper and the stand! so pretty. Thank you for the file!